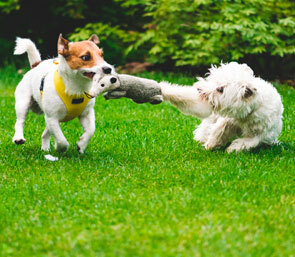 We provide doggy daycare in Chessington, Ewell, Epsom and Sutton. We can offer our doggy daycare service out and about or from the comfort of your own home. Our doggy daycare service is ideal if you are at work all day or you are simply just going out for the day/evening. The service includes at least 1 walk and a FREE collection and drop-off service (within a 10 minute journey). For some dogs, who may have mobility issues or who prefer human companionship, we can bring our doggy daycare service to your home and keep them company in a familiar environment.